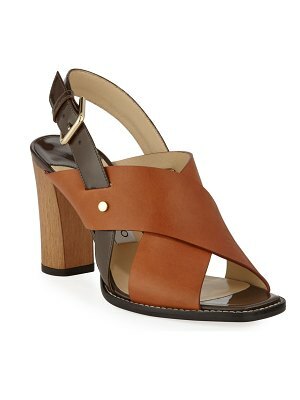 Made in Italy from high-quality leather, these wooden heel sandals blend influences from the designing duo behind New York City-based fashion house Proenza Schouler. 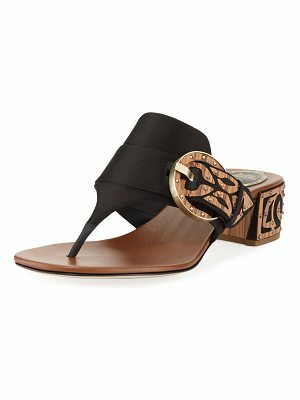 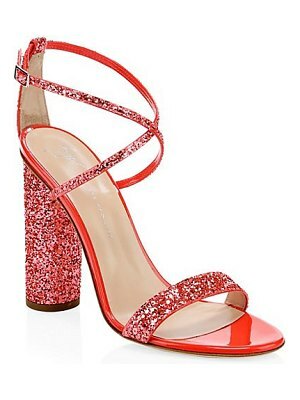 Jack McCollough and Lazaro Hernandez, both well-known for their always urban, independent designs, have embellished these white sandals with a large oval wooden heel. 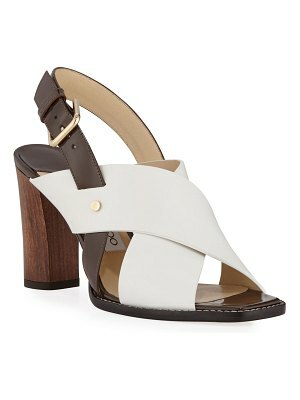 A playful strap at the foot and heel adds a modern touch to these sandals that elegantly pair with midi skirts.